It’s a very difficult situation if you find yourself or a loved one arrested for a DUI (driving under the influence) or DWI (driving while intoxicated). While it’s a situation that no one wants to find themselves in, unfortunately, it can happen. While it’s vital to make sure you seek counseling and therapy throughout the entire process to make sure you’re dealing with it properly, it’s also important to take care of the legal aspects, which can be very daunting. To help make an already difficult time easier, Jack J. Schmerling is here to provide advice on how to proceed after a DUI or DWI. Police officers can generally use three methods to determine if you’ve had too much to drink. They can observe you and pull you over if your driving is suspicious; they can ask you to perform a sobriety test, such as performing balance or speech tests; or they can also measure your blood-alcohol level. You can refuse taking a chemical test at a DUI or DWI stop, but this generally means implied consent. This states that refusal could lead to suspension of your license for between 3 to 12 months, even if you’re eventually found not guilty. Do note that if the case goes to trial, this could lead jury members to believe you refused because you actually were intoxicated or under the influence. Sometimes you’ll have to appear for an arraignment, a court appearance where you’re formally charged and asked to respond by entering a plea. You’ll be asked to plead either guilty or not guilty. Having an attorney at this stage is usually unnecessary; you can always change your plea later. You can usually insist on a jury trial as well, and you should deny convictions so your attorney can challenge their validity later. It’s difficult to defend a drunk driving charge, since it involves a keen understanding of scientific and medical concepts. Hiring a lawyer who has a specialty in these cases is paramount to making sure you receive effective legal counsel. If the police don’t have physical evidence, it’s possible an attorney could plea your case to what’s called a “wet reckless”; while it doesn’t sound as bad as a DUI, it tends to carry the same fines and penalties. After being released, your options include pleading guilty, asking for a trial before a judge, or trying to plea bargain. Consulting with your lawyer is strongly recommended. You will understand if it’s best to fight the charge or plea bargain, and much of this depends on your recorded blood alcohol level. 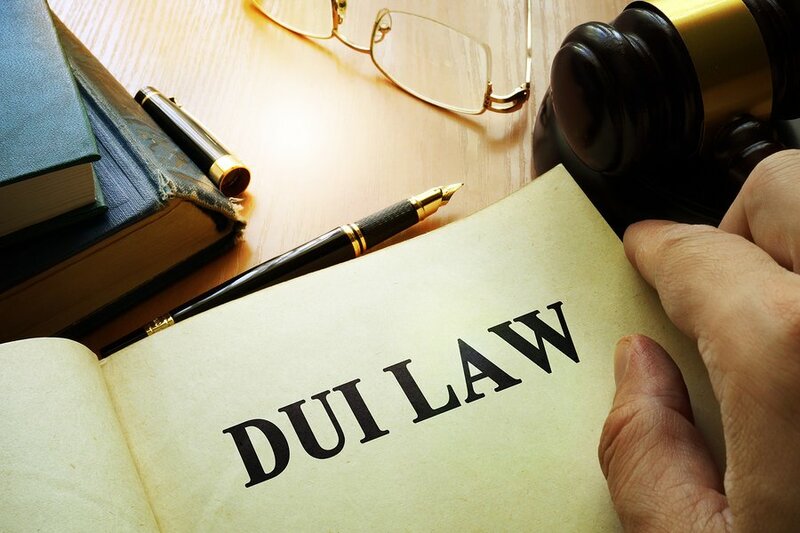 No matter what route you want to take, getting an attorney is in your best favor to make sure you can navigate the legal field of life after a DUI or DWI. To help you proceed in the difficult time after you or a loved one has been charged with a DUI or DWI, please get in touch with us at Jack J. Schmerling, Attorney at Law. Throughout Glen Burnie, MD, we’re available for legal counsel. For a free evaluation, call us today at (410) 988-4956. Often, it’s in your best interests to find a disability benefits attorney to assist you in the process of applying for disability benefits from the Social Security Administration (SSA). 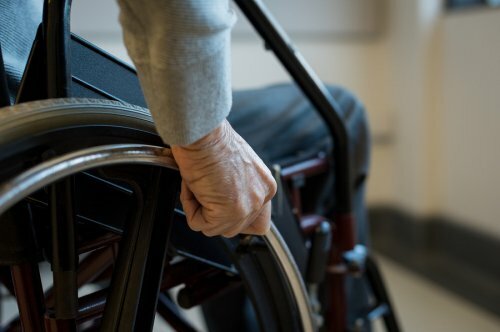 While it can sometimes be a straightforward process, each case is unique and it’s important to make sure your disability rights are fully upheld and you’re receiving the compensation and benefits you deserve. To help explain the process, Jack J. Schmerling, Attorney at Law is here to explain just how we can make sure you’re being treated fairly. How Do We Assist in the Process? When thinking of hiring a disability attorney to help, it’s important to understand what the benefits are. With legal counsel, you’re more likely to have your case approved. It’s wise to call early. 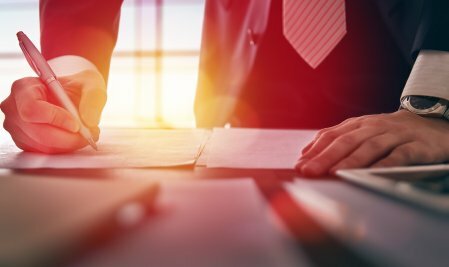 If you’re just considering filing, get a free consultation with us just to get an idea on the strength of your case and get some help with the initial application. Your attorney will request medical records necessary to help win the claim, and will have them submitted to the SSA when it’s appropriate. You’ll need to sign a medical privacy release, granting your attorney the access to your medical records. Social Security often mandates the exams needed to win a claim, so your attorney will review your medical records to ascertain if additional testing is required. If needed, your attorney will ask the SSA for a consultative examination with a doctor. They will also decide what doctors are necessary to ask for statements in your favor, figure out how to deal with evidence that could hurt your case, and so forth. We also help by reviewing you with questions that you’ll normally have to answer in your hearing, such as if you have health insurance, if you take care of your hygiene, and if you take pain medication and how frequently. We will help you answer these questions honestly, even if it’s difficult or embarrassing, so that we can effectively represent you. Of course, whatever you say is privileged, so your attorney can only share what you authorize them to. 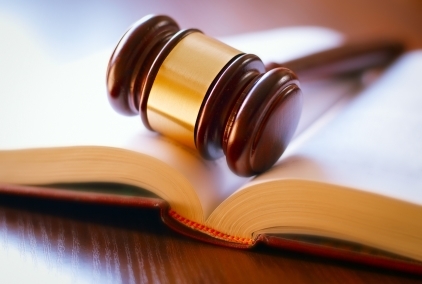 They’ll decide if witness testimony is necessary, and determine what the best way to win your case is. There are different theories that can be used, such as proving your condition meets a disability listing. Throughout the entire process, your attorney will keep you closely updated on their progress so you understand what’s happening. Are you ready to get an attorney to assist with your social security disability benefits? Or do you simply need some more information? We have you covered! At Jack J. Schmerling, you can contact us for a free consultation where we’ll review your case and let you know how to proceed. To get the assistance you deserve in Glen Burnie, MD, give us a call today at (410) 988-4956! If you’ve been in a car accident, it’s often difficult to know exactly what to do after. It’s understandable: there’s so much going on in such a traumatic moment, and proper procedure is often the farthest thing on your mind. However, to ensure that the law is properly carried out, it’s important to follow some steps so the law’s on your side. That’s why Jack J. Schmerling is here to let you know just how to handle a car accident. First, it’s important to never drive away from the accident, no matter how minor it is. Leaving the scene will make the entire process so much more difficult. Try to make the area safer if possible, by keeping your flashers on or turning on a flashlight if it’s at night. Then, call the police, even if there are no serious injuries. A police report may be necessary if you want to file a claim with your insurance company, even if the claim is just for damage. Make sure you don’t tamper with the scene: if possible, leave your vehicle where it was, unless it’s obstructing traffic. The next thing you want to do is make sure you exchange information with all the drivers involved. Take their name, phone number, insurance company and policy number, license plate number, and driver license number. 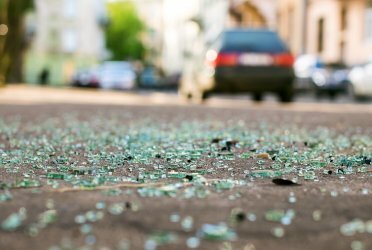 Take photographs to document the accident: you want to make sure that your pictures grasp the overall context and provide objective evidence of the scene. Also take down a written description of each car involved. You’ll want to include the model, color, year, make, etc. If there are any visible injuries, photograph those as well. Through this process, make sure you aren’t interfering with the police or emergency services, if applicable. Make sure to get the names and contact information of some of the witnesses, if necessary. This could prove to be valuable down the line. Next, file an accident report. Often, officers won’t respond to an accident if there haven’t been any injuries. You still want to file a report, which you can find at police stations and oftentimes on the Department of Motor Vehicles, as it’ll speed up the process. Make sure you notify your insurance company quickly, as you’ll find that policies often want immediate reporting. Know what your insurance covers so you know how to best proceed; check your policy for specifics. 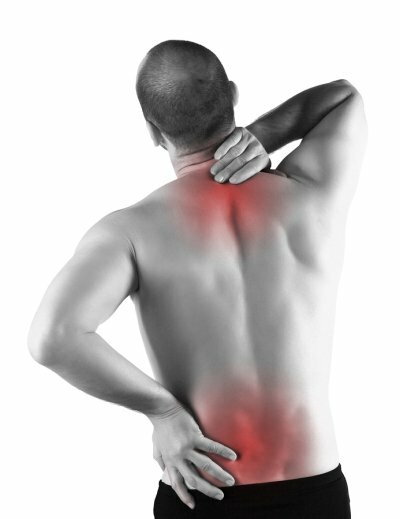 Seek medical attention, even if no injuries are immediately obvious. Finally, keep a file with all the related documents together throughout the entire process. Most importantly, you need to consult an attorney so your rights are protected. You need solid legal advice regarding compensation, determining fault, and a wide array of issues in such a stressful time. If so, don’t hesitate to contact Jack J. Schmerling, Attorney at Law in Glen Burnie by calling (410) 988-4956 today! In the unfortunate incident that you’re involved in an auto accident, there will undoubtedly be many issues on your mind. Determining who was at fault is just one of them. You’ve probably seen ads on TV telling you to call an injury lawyer if you’ve been injured, but they don’t get into more detail than that. While there are a few cases where clarity of liability is obviously clear, such as when the other party was obviously at fault and admits it, most of the times that’s not how it works. Liability can be shared, or you may simply have no idea how to evaluate your claim. These are just some of the many issues that could plague you, which is why Jack J. Schmerling, Attorney at Law is here to help you. Fault is perhaps the biggest issue when you make any auto accident claim, and is a pivotal statement before you get anywhere in the entire procedure. Many different factors play a role in determining who’s liable for damages or injuries from the accident, and the decision of who has to pay mostly rests on the motor vehicle statutes. The law can thus be a tricky place to navigate when it comes to determining fault. Fault for causing an accident either is determined by law or defined by the common law, which recognizes four levels of fault: negligence, recklessness or wanton conduct, intentional misconduct, and strict liability, regardless of fault. Someone could be negligent through failure to, for example, actively doing something such as running a red light. Recklessness is defined as willfully disregarding other’s safety. Strict liability might be imposed in accidents involving especially dangerous activities such as transporting explosive chemicals. 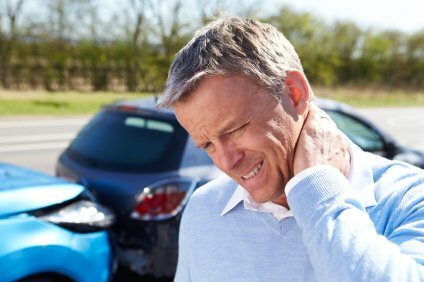 Those who have caused an accident under common law have committed a tort, a private wrong against someone else, and are referred to as tortfeasors. In the case of intentional/reckless misconduct, determining fault is usually simple. However, when general negligence comes into play, which is common among many accidents, determining fault can be increasingly difficult, which is why a lawyer is essential in getting to the truth. Motor vehicle statutory violations also regulate how drivers operate their cars, and are often codified versions of common law. Violating these statutes tends to create the idea of negligence as a matter of law. For example, not wearing a helmet as a motorcyclist is an act of negligence and will likely affect liability. Fault can then be determined by citing the violated statue. The concept of proximate cause can also be applied, among other important factors. Throughout the entire procedure, an attorney is vital to make sure your auto accident claims are successful. Need an auto accidents lawyer in Glen Burnie? Jack J. Schmerling, Attorney at Law can help you. Our outstanding professional service will leave you satisfied through the often stressful process of dealing with insurance companies, so for a free consultation, give us a call today at (410) 988-4956! 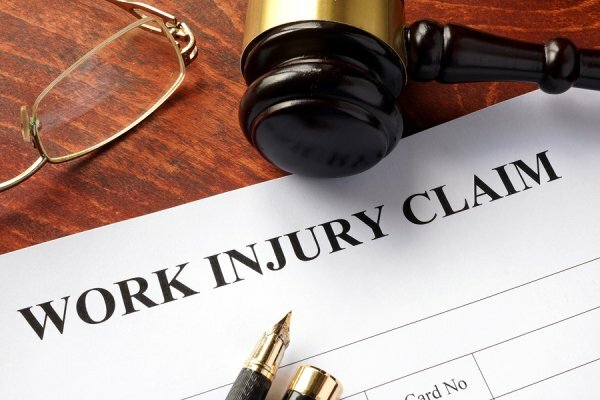 In the unfortunate incident that you’ve sustained a work injury, you may be unsure when and if it’s necessary to contact an attorney to have a consultation over worker’s compensation. After all, if it’s a relatively minor injury and your initial doctor’s visit was covered, there’s no need to take it any farther, right? Not exactly. To make the process easier, Jack J. Schmerling, Attorney at Law, is here to help you. When Should You Get in Touch With a Worker’s Compensation Lawyer? As soon as you sustain a work injury, you need to get in touch with an attorney to avoid any ramifications. The law states that you have 120 days to report a work injury, starting from the date of injury or when you knew of the disease or illness. After 21 days, you won’t be able to recover worker’s compensation benefits until you do give notice, as long as it’s within the given 120 days. If you don’t do so, you cannot collect any benefits. 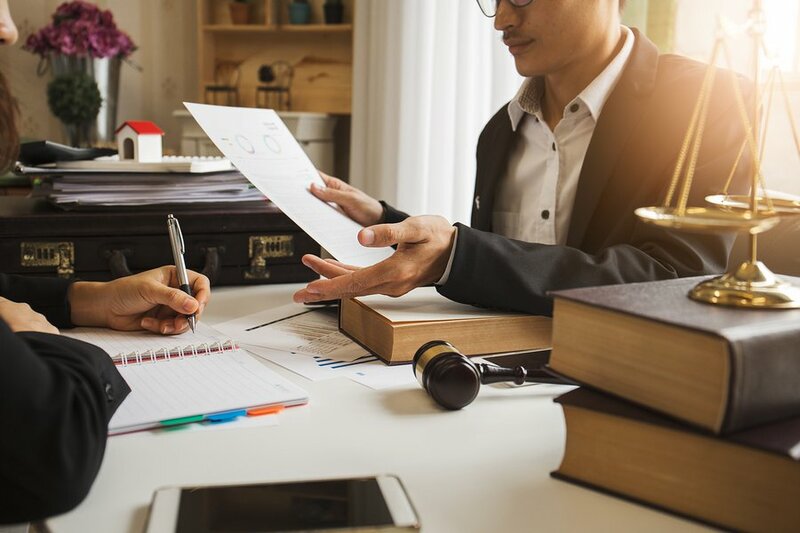 Various other deadlines apply to certain paperwork, and failure to respect these deadlines could minimize the amount of benefits you’re entitled to, which is why getting in touch with an attorney as soon as possible is recommended. Beyond that, there are some other specific moments when it’s strongly advised to get a worker’s compensation lawyer. For example, if you file a claim after an injury, the attorney will help make sure that all involved are following proper protocol, including you, the insurance company, the doctor, and your employer. Another moment when it’s important to contact a lawyer is if your employer or your insurance company deny your claim. Your employer has 21 days to accept your claim. They can also choose to approve payment for the bills but deny payment for lost wages, accept your claim for 90 days if they’re unsure your injuries sustained were related to work (and can stop benefits anytime during the 90 days), or deny the claim if there isn’t enough evidence to support your claim. Contact a worker’s compensation lawyer immediately if your employer tries to stop or modify your benefits. For example, they could try to reduce or even eliminate your benefits by trying to issue medical examinations claiming you’re fit to return to work even if you are still unable to, so an attorney will protect your rights. Also make sure to get in touch with a lawyer if your employer tries to control your medical treatment by saying that you can only visit a specific doctor; it’s important to make sure you receive quality medical care throughout the entire process. Don’t hesitate to contact us Jack J. Schmerling, Attorney at Law! Proudly serving the Greater Baltimore Metro Area, we can help you if you’ve suffered a work injury and need a lawyer to protect your rights to the fullest. Give us a call for a free consultation at (410) 988-4956!